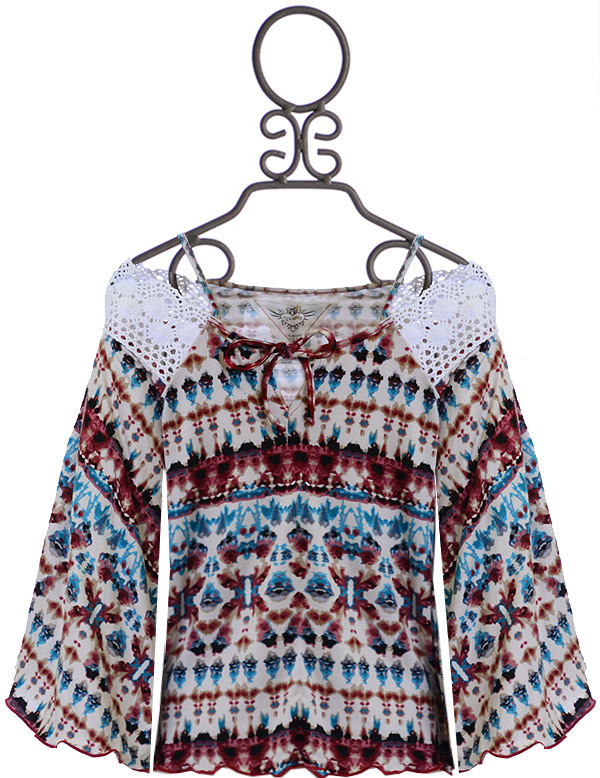 $24 - A loved relaxed fit, the peasant top is perfectly styled and hails from the tween brand T2 Love. Thin straps allow a trendy off the shoulder look while ivory lace is an added detail. A thin bow sits in the center of the neckline while the loose fit sleeves and overall style of the top looks fabulous with skinny jeans or her favorite shorts. 95% Rayon and 5% Spandex. Hand Wash, Line Dry. Made in the U.S.A. SIZE 8 AND 10 LEFT.